We look up. Look down. Look around. Feeling weighed down by the tax season. The cost of living along the Central Coast. Advancing age and the tremors that lurk in the shadows. Quietly, imperceptibly, the tomb closes in. Hopeless. That’s a land, beyond the horizon, that beckons with a cold comfort — a lie, but a familiar one. Better to live there, than to see our hopes crushed again. Yet, it’s Easter, when hundreds of millions of people around the world will hear about the resurrection of “hope.” The dictionary says “hope is a belief in a positive outcome related to events and circumstances in one’s life. For instance, many people are reasonably confident technology will keep working and lead us all to more fulfilling lives. To a positive outcome. Maybe so. Maybe that’s where hope should reside — in gadgets and digital impressions, in the almighty market and the manipulations of the financial world. After all, if Wall Street and technology — the best and brightest of modern life — can’t be trusted, what can? Worry about whether the money will be there at the end of the month to pay the bills. Whether we’ll have a job next week. Worry whether our kids are all right, whether they’ll go to college, and if so, which one? Worry about the weather, traffic, what the boss thinks about us, what our co-workers are telling the boss. Worry about crime and terrorists and the kind of nihilism that causes someone to wipe out a dozen people. Worry a plane will disappear off the face of the earth, or a ferry filled with kids will capsize, or the burning bus will never evade the out-of-control truck. Worry about tomorrow, as if there is a tomorrow and as if it is real. But worry doesn’t change circumstances, nor can it add a moment to our lives. Worry just recognizes that clearly we’re not in control, and that the rest of the world is out of control, and that’s the end of the story. But, truly, the story doesn’t end there. It’s been said hope deferred makes the heart sick. In other words, we thrive on hopes real and realized. Without hope, life loses meaning and our decisions to act on behalf of others and for succeeding generations seem futile and nonsensical. For thousands of years, people have hoped for what they did not see, hoped promises would be fulfilled, hoped it would indeed be better for their children and their children’s children. Hope is not aimless positive thinking that grins when everyone else is grieving. It’s a confident expectation there are answers. Easter and Passover remind us we pass through this world quickly enough — and hopefully leave behind more than money, tasks accomplished and a tally sheet of wins and losses. Nothing new under the sun; everything is vanity. Mere vapor. The prophets were hardly selling road maps to the soul 3,000 years ago — people then as now mourned the loss of possessions, feared for their futures, wondered if their desert wandering would ever end. No one lacked for idols. Privileged classes played by their own rules — just as today. Charismatic leaders were around then; now too. Sometimes they really led; other times they led astray. Religious authorities abounded then — and often, their religion was stifling, lifeless and bound for corruption. And that happens still. In the classic 1987 Wim Wenders film, “Wings of Desire,” two angels roam the city of Berlin, observing the lives of mortals and listening to their tortured thoughts. One angel later is attracted to a woman he’s observed and decides to shed his immortality and become human. He tastes food, sees colors, bleeds — and experiences love. The other angel is haunted by the thoughts of a young man who commits suicide, beyond, it would seem, help. Faith, hope and love — and the greatest of these is love. We move in the cadence of time, trying to make things better, hoping this outcome will be better than the last, before time itself runs out. Vapor. More is less and unless something dies, it can’t bring new life. If this isn’t true — what are we doing here? Easter morning. High on a hill, waiting for the rising of the sun. Don Miller is the editor of the Santa cruz Sentinel and Monterey Herald. Contact him at dmiller@santacruzsentinel.com. Posted from San Lorenzo, California, United States. If you’re a Sentinel reader, of our online products or print, you’ll probably be interested in the latest State of the Industry talk by Digital First Media CEO John Paton. The Sentinel is part of DFM, so when Paton describes where newspapers have to head to survive, he’s talking about us. About a month ago, we made substantial changes to some of our comics, puzzles, advice columns that we publish in our print edition. Many readers were outraged. I received more than 600 emails, calls and letters from readers — and their reaction was a major reason we brought back two features — the Doonesbury comic strip and the New York Times Crossword. But, looking longer term — and really, not that much longer — these moves are sort of besides the point, since newspapers, to survive in their vital community role of providing the local news coverage that people still demand, will be putting even more resources into digital, at the expense of print (there’s nowhere else we can get the revenue). The Sentinel staff in recent years has become adept at putting digital first, and you’ll be able to see it again tomorrow (Friday, Jan. 24) with our coverage of the Mavericks big wave contest. Yes, we’ll have day-after stories and photos, but the real excitement, the most vital news coverage, will be online — to be experienced on mobile devices, our website, and through links to a wealth of resources. All our reporters are trained to shoot, and post, short videos, which you can view on our home page — in fact, most days, I post my own short video highlighting the daily news report. They also use Twitter to provide breaking news, sports and entertainment information from our local communities. All our local news is posted up to the minute and all of these efforts represent a huge change in how we operate from just a few years ago. And there will be more to come. As Paton points out, our digital endeavors have to lead the way, with print following. This isn’t to scare our print readers that their cherished daily newspaper in the format they’ve long enjoyed it is going to disappear tomorrow. We’ll still be bringing you local news coverage in print — although, you, our reader, can get if faster, in a far richer environment, from our digital services. So here’s the story. A new putter, said to be “scientifically superior” to all other such golf clubs, is being touted by a well known television pro golf analyst. A young journalist, also a golfer, sees an online video featuring the analyst raving about the putter, which, it just happens, was invented by a mysterious woman who, it just happens, was also a brilliant physicist. But, nothing was as it seemed. The physicist was actually an auto mechanic and a transgender woman, who did not want her secrets revealed. It isn’t surprising that a furor has arisen over “Dr. V’s Magical Putter,” published online on ESPN’s Grantland site. After all, the subject of the story committed suicide before the piece was posted, which in itself would show something far amiss. The story, ostensibly about examining the claims about a piece of golf equipment, turned into the author’s investigation of the club’s inventor’s past and present, which revealed that a woman and scientist known as Essay Anne Vanderbilt had lived much of her life as Steven Krol and that more than her identity had been changed to fit present circumstances. Once the piece was published — and it’s riveting and well written, even as the author keeps an almost cold detachment from the fate of the article’s subject — Grantland and writer Caleb Hannan were denounced for “transphobia” and a lack of compassion toward Essay Vanderbilt, not to mention outing her after she killed herself. This isn’t a case of some celebrity mindlessly tweeting out insensitive or stupid comments. No, it appears to be a well-vetted piece of journalism, for an online publication trying to make a name for itself and an author who in all likelihood brought what he believed to be traditional journalistic tools and methods to his information gathering. And here’s another chilling secret: Even journalists have identity issues, and matters they hope never see the light of day, much less a national publication. All the more reason to tread carefully when dealing with troubled people. We asked for your thoughts about changes in the comics and features we have been publishing in our print edition — and, brother and sister, you gave them to us. In nearly 400 emails and dozens of phone calls (we cut off counting as of noon New Year’s Eve), you told us you were “shocked,” “angry,” “disgusted” and “incredulous” that we would drop things you enjoyed. And those were some of the nicer comments. OK, OK. It’s a New Year and our vow is to listen better. (We’d like to be kinder as well, but that’s for another column). While we (the editorial “we” just feels more comfortable in this perilous situation … wonder why?) have made some significant additions, and subtractions, we are going to continue, starting today, the popular New York Times crossword puzzle and the “Doonesbury” comic strip — the two items the majority of responders told us they simply can’t do without. Here’s some background on why the somewhat extensive changes to our comics page and daily puzzles and features page came about. It should be no surprise that the Sentinel, along with most other newspapers, is increasingly transitioning to digital platforms: our mobile apps and web site primarily. Younger (pretty much everyone younger than the age of 40) audiences get their news and information online — a reality we long ago recognized as one we could either embrace or … else. What that has meant, and is meaning, for Sentinel readers is more consolidation of non-local content. This includes items we purchase from syndicates, including comics, puzzles, advice columns and other features. With our news staff spending more of its efforts on producing and editing local content for multiple platforms — print and digital — we have fewer resources for the features we get from national, or syndicated, sources. Our company — aptly named Digital First Media — has asked each individual newspaper to work together in consolidating this content, as well as the production of non-local print pages and online presentations. But Sentinel readers want both puzzles and so, both puzzles it will be. The support for Doonesbury — the venerable strip by Garry Trudeau — was easy to understand in a liberal, politically connected area such as Santa Cruz County. Most newspapers run the comic on the Opinion pages. We weren’t — but did add the popular, if controversial, local comic by DeCinzo onto that page most days of the week. Now we’ll add Doonesbury to our Opinion page, starting Wednesday, Jan. 1. The New York Times crossword will run starting Wednesday in our Classified ads section, where you will be able to find it Mondays through Saturdays. The Sunday New York Times puzzle will continue to run in our Features section. We’ll also continue to run the daily “Best Bets” feature about local events we think you might enjoy. You’ll be able to find it on the second page of our local news “Extra” section. We’d also like to wish you a Happy New Year — and have our own 2014 hope you’ll get used to the other changes, with new comics including “Mister Boffo,” “Wumo,” “Take the Tinkersons,” “Little Dog Lost,” “Luann,” “Tundra,” “Six Chix,” and “Mother Goose and Grimm.” We’d also like you to enjoy, and monitor, our new puzzles and features page, “Your Daily Break,” which has a new advice column by Washington Post columnist Carolyn Hax, along with “Sodoku,” “Celebrity Cipher,” “7 Little Words,” the daily horoscope, our TV listings and the “other” crossword puzzle. No one can capture the strangeness of a departing year quite like columnist and author Dave Barry, as he does again in 2013: The Year of the Zombies. I can’t forget Christmas bells. This year, a group of us gathered at a local shopping mall to spend a day and night ringing the bell for the Salvation Army. I can still hear the back-and-forth trill of the tinny cymbal. The Army’s 25,000 volunteers and low-paid staff raised nearly $149 million last year in kettle donations — but the money raised locally stays local, and helps buy toys, clothing and food for the poor. In Joplin, Mo., someone dropped five cashier’s checks wrapped in dollar bills totaling $50,000 into a kettle. Kettles around the country have been emptied to find gold dental bridges, Viagra tablets, lottery tickets and gold coins. At our kettle this month, shoppers passing by were mostly friendly, if harried. Oh, it is — an old season with new rituals and time compressed, ticking off from Black Friday and ending in round-the-clock store hours to Christmas Eve. More often, it’s Christmas experienced with a keyboard and debit card. Tap, tap. The Twelve Tweets of Christmas. 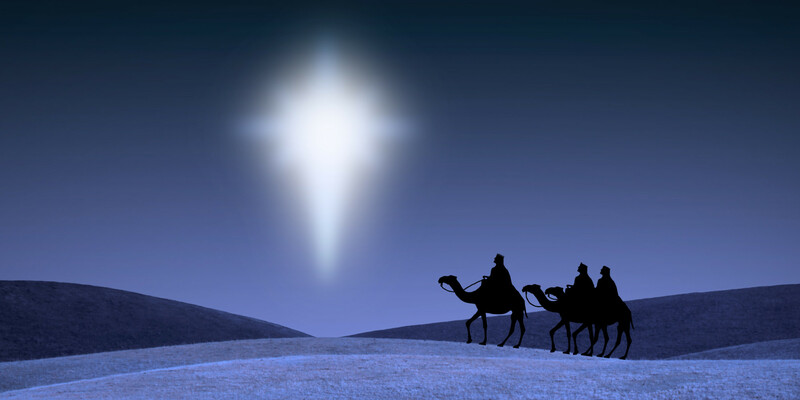 Does it matter that “Xmas” has Christian roots? Didn’t think so. Or that Santa’s sleigh makes tracks into the snowy obscurity of the third century? There may actually have been a real St. Nicholas of Myra in modern-day Turkey, a fighter of heretics whose legend grew from tales about how a holy man saved young girls from being sold into prostitution by gifting their destitute parents with bags of gold. Even the origin of our Dec. 25th date is disputed, though scholars agree this day does not represent the historical marker when the son of Mary was born. Then there’s the Christmas tree. Planted among family, holding up traditions, silent witness to the season, there it stands. Call it what you will — “holiday tree,” tree of the knowledge of good and evil, syncretic totem — so much happens there. And what might the Christmas tree, have to do with the birth of Jesus of Nazareth, Yeshua, the Jewish son born on an unknown day to a teen mother and her conflicted husband in a nondescript town in a dusty Roman province so long ago? You see, my hopes and dreams, my futile schemes, hang on the tree. As she does every year, my wife asks what I’d like for Christmas. “Nothing,” I reply, once again. There is not another gadget I need or deserve, not another sweater, nor an Irish setter, not a book, nor something to cook. I ask her what she wants to find, under the tree. “Spend the money on the kids,” she says. God have mercy on my soul if I comply. Legends abound about the origin of setting up a tree to decorate for Christmas. Legend or not, every season, I see friends’ trees so perfect in their perfectly ordained and ornamented perfection it takes my breath away. I think, mine will never measure up. Because, all my imperfections are displayed, on the tree. My Christmas tree is usually misshapen, listing to one side or another, branches askew, with a wild mind of its own, daring to be tamed. Each year, my wife and I debate: Fake tree or real tree? Fake or real — I can’t tell the difference anymore. I find myself watching a TV yule log burn away in HD, with Christmas music playing in the background. Real, we agreed. We want to be real. So once again I wrestled what seemed like tons of dead tree through a small door, aiming the massive conifer toward its stand. Sweating and muttering, I heaved the beast into its burden, then I tried to set it straight. Lying on my back, with a friend yelling, “Move it to the left!” and my wife shouting, “It’s going to fall!” I finally achieved something like equilibrium. And, yes, Christmas gifts await, at the tree. It’s another cold night and the shadows gather, as they always do. In the tenderness of twilight, when the blue horizon fades, I look inside, and see the lights on the tree. As our children got older, they lost interest in putting up ornaments and stringing lights on the tree. So, again this season, my wife and I decorated the tree. Porcelain angels and glass ballerinas. A “Nutcracker” display that was once my mother’s — but she’s gone now. Still, generations dance across this tree. There’s a piece of green construction paper with a photo of a daughter when she was 5. Clay ornaments, children’s creations. Everything goes on the tree. Tonight, I’ll hear the Christmas bells. And I won’t be surprised when I hear them toll for … me. Come, stand before … the tree. A star rises in the East. But therein lies the issue for our “modern” world. Douthat explores three divergent worldviews of the story of the birth of Christ: the biblical (traditional verbatim reading of the Scriptures); the spiritual (take what you want and leave the rest; syncretistic) and the secular (popular among the intelligentsia and eliminating the vertical entirely). And what might this be? Douthat suggests … “a deist revival or a pantheist turn, a new respect for biblical religion, a rebirth of the 20th century’s utopianism and will-to-power cruelty. Monday night, for all intents and purposes, is light’s out for a candle that definitely has blown in the wind. Yes, we prepare to say goodbye to Candlestick Park. Home of The Catch. Of Joe Montana, Steve Young and Jerry Rice. Of Mays and McCovey, Will the Thrill and Barry Bonds. Where Vice President Richard Nixon threw out the first ball in the first game played there, April 12, 1960. Where Stu Miller was legendarily blown off the pitcher’s mound during an All-Star Game on July 11, 1961, by one of the merciless gusts that blew evilly off the bay and across the concrete. Miller today says “blown off the mound” is hyperbole, that he merely flinched when a mighty wind buffeted him as he attempted to pitch to Rocky Colavito. 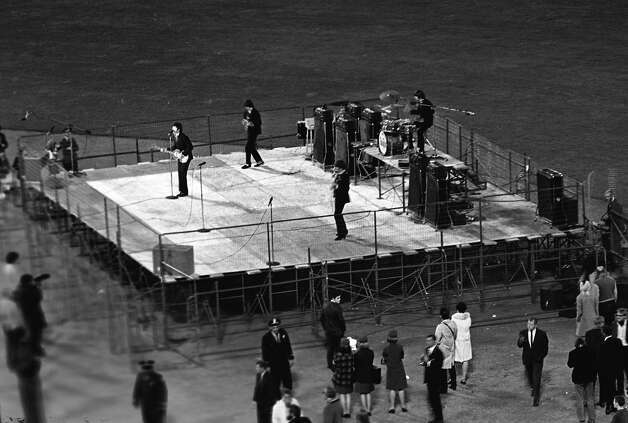 Where The Beatles played their final live concert Aug. 29, 1966 — and where for decades, fans wandered forlornly around the concrete-and-cold structure that was old when it was new, in its final baseball years. Yes, history was made here — dramatically so at 5:04 p.m. Oct. 17, just before the third game of the 1989 World Series, when the Loma Prieta earthquake that devastated parts of Santa Cruz County thundered beneath the ballpark. Of course, what Bay Area natives always knew was while the weather was inevitably cold, foggy and windy in the baseball summer; it was often warm and sunny in the fall — football season. So when the San Francisco 49ers made their move from old Kezar Stadium in 1971, television viewers around the country were shown gorgous vistas of San Francisco Bay and the city, bathed in the blue skies and ocean reflections that are familiar in these parts in October and November. OK, it could get rainy, too, and the field could quickly turn to slop, but we prefer to remember Candlestick in its best moments. Why pine for the Croix de Candlestick, a pin handed out to diehard fans who braved extra-inning games in brutally cold conditions, or for Crazy Crab, the team mascot supposed to divert attention from the desolaton of dirty restrooms, drunken fans and desultory food, much less the dreary weather and dank stadium? The city spent millions of dollars to try and make the structure on Candlestick Point more hospitable, but nothing much worked. In the mid-1970s, the Giants’ owner, Horace Stoneham, tried to sell the team to a group in Toronto. Fortunately, San Franciscan Bob Lurie bought the team from the Stoneham family and kept it at … The ’Stick. But even Lurie had his limits. Frustrated from trying to get the city to build a better ballpark downtown, he came close in 1992 to moving the team, this time to Tampa, Fla. Once again, the candle was not snuffed out; rescue came as the team was sold again to an ownership group that began the path toward the hugely succesful franchise of today. Changes came. The stadium would get renamed for coporate sponsors, though who remembers any of those appellations today? The 49ers would win five Super Bowl titles while calling Candlestick home. The Giants, alas, would not win their first World Series since moving to the West Coast in 1958 until 2010, when they were playing in their splendid downtown park, which opened in 2000. They would repeat in 2012. The 49ers, back among pro football’s elite after years in the losing wilderness, will play what is almost certainly the final game at the old stadium, against the Atlanta Falcons, a team mired in its own misery this season. After that the team moves to its own shining new stadium — in Santa Clara. Bad neighborhood. Bad location. Bad weather. But great and unforgettable memories. So much for the online movement to have Miley Cyrus named Person of the Year. Time magazine ignored the posts and videos and took another tack — Pope Francis. Time’s annual anointing remains relevant, even if print magazines really aren’t anymore — and Francis has drawn the attention even of non-Catholics for what seems to be a departure in how the pope sees the rest of the world, not to mention his office. It’s curious, though, that when a spiritual leader actually lives up to the doctrines and teaching upon which his church was founded, he is hailed as revolutionary. Actually, the message of the church with a small “c” was from the first meant to be countercultural. So to have Francis lauded because of his work with the poor, for his message of inclusion rather than division, for being both the leader of two billion Catholics worldwide and a Person of the Year who holds a disfigured man and kisses the feet of women prisoners seems surprising. Similar adulation was also directed at the memory of Nelson Mandela. It’s a measure of our times that such men are elevated for doing as they feel they must. Our world is so dominated by corruption, greed and violence, by rampant and mindless sexual exploitation, by the cult of celebrity and narcissism of the almighty Self, that seeing another person live out a holy calling — an inner direction mostly foreign to our modern minds and jaded hearts — strikes us as monumental. Pope Francis, at age 77, is having that kind of effect — just by demonstrating kindness, forgiveness and mercy, the very qualities of the gospel message he has vowed to uphold. The effect seems to cut across religions, ethnicities, nationalities, even if some overly religious folks are suspicious Francis might be watering down church tenets. Which really isn’t true, as he continues to give the same answers on questions such as female priests: “We need to work harder to develop a profound theology of the woman,” he wrote recently. Meaning, no. Nor does he accept abortion, because he believes, as his Church does, an individual life begins at conception.While opening the doors of compassion to gay people, he also teaches that gay marriage is wrong, because the male-female bond is established by God. When he was Cardinal and Archbishop of Buenos Aires, Argentina, Jorge Mario Bergoglio was known for visiting the squalid slums of his city, traveling alone, often on foot, never finding a place too desperate or hopeless to visit. Bergoglio had a common request for the common people he would meet in these places: Reza por mí. Pray for me. The still-new Pope eschews the royal trappings of his predecessor. He dresses and lives simply. At night, he is known to roam the streets of his new and ancient city, Rome, and minister to the homeless. And yet, our cynicism knows no bounds; the latest scandals and the depravity are met with shrugs. What else is new? The other shoe, even the fisherman’s, is sure to drop. The only explanation we can find for the fascination with Francis is that people are thirsting for inspiration and, even, their own higher calling. I’m aware that merchants think this year’s late date is pushing up against holiday shopping, but, still — Thanksgiving already? Deep down it feels like summer just ended, but why argue — and anyway, what’s not to like? Of all the holidays, Thanksgiving goes down the easiest, like mashed potatoes or pumpkin pie. Even with the gilty dark magic of Black Friday darkly encroaching on Turkey Day sloth, I’m not buying it. Better to remain as antiquated as a handwritten letter, or a face-to-face conversation — while continuing in the illusion one holiday at least remains blessedly free of guilt-induced shopping, insincere gifts, treacly music, $6 gift cards, wilted flowers, soon-to-obsolete gadgets, comatic sugar, regressive costumes or excessive sentimentality. Eminently doable. Other than after-dinner cleanup duties, nothing much asked, nothing much required. Of course, you have to get past the often awkward blessing before dinner delivered by a family elder, who hurriedly intones words he or she vaguely remembers from childhood. But this too shall pass … Wait a minute — turn up the sound on the TV … did the quarterback just throw for a touchdown? I faintly remember that while Thanksgiving started as a day of spiritual reflection, that really isn’t on most menus as we prepare to tryptophan the light fantastic into turkeyed bliss. So, in that spirit, what to make of “thanksgiving” with a small “t?” No easy task. In a world ruled by greed and violence, it’s a stretch, isn’t it, to go deep and go thankful. Then again, if I’ve learned anything through the valleys and sloughs, it’s just this: When I am weak, then I am strong. Accepting hard times and loss as opportunities to practice being grateful, I stop being consumed by what others have done — what they have and I don’t —and allow that to be turned inside out, bringing to light the many gifts and blessings that have come my way, despite my own failures. Life moves so fast, and if my eyes are focused on the past, on what Mr. So-and-So said or did, or what Miss Just-So didn’t do or say, I miss out on something far more important. What does this have to do with Thanksgiving? Just this. Giving thanks is transforming. It’s a kind of radical thankfulness, tough to practice, but with a huge upside. Research shows that people who are grateful are more likely to help others in need. And helping others takes me out of the narrow place where resentment and bitterness wants me to dwell. Gratitude as an attitude leaves a person happier, less stressed, less materialistic, more physically active, more spiritually aware, more humble. It’s no coincidence people showered with material blessings or gifted with physical beauty or superior talents often remain unsatisfied. Never rich enough. Never young enough. Never successful enough or noticed enough. Grateful people often have suffered painful losses, or come up short on youthful dreams — and are only too aware of character defects and failures. We give freely, as it has been given to us. And, yes, there’s a spiritual principle at work: In everything, give thanks . When in doubt, give thanks . It’s counter-intuitive — but then, it’s easy to give thanks when things seem to be going well. It says, “yes,” instead of “no,” invites me to share the promise with others, unleashes inner freedom, peace and the power to overcome the obsessive thought I have to grab more for myself. It’s the opposite of self-reliance. Being able to even make the choice … to give thanks . The gift of family, each of us learning these things ourselves, including overcoming struggle and disappointment. Freedom of speech, and the freedom to disagree, even with this essay. The solitude of late autumn. The blue-red of sunrise. Walking into late November sunsets, the soft fade of the endless horizon and the silvery ocean’s haunting call. Why wouldn’t I be thankful?